Welcome to our fence ideas picture gallery. Fences are a part of landscaping whether they are decorative, separating properties, giving privacy, or providing a barrier. We hope you find some great fencing ideas for your own home. For those of you not familiar with our site, please click on our site map to see all that we have to offer. We have over 200 pages of information to check out. 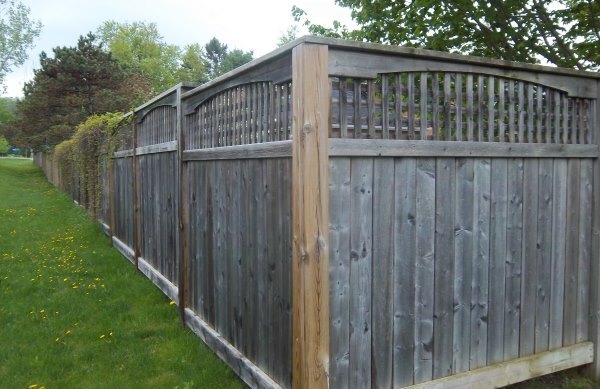 With so many different materials to choose from it can be a tough choice to decide on what types of fencing you want. Sometimes that choice is even made for you by bylaws or restrictive covenants. You are stuck conforming to what they tell you to build. 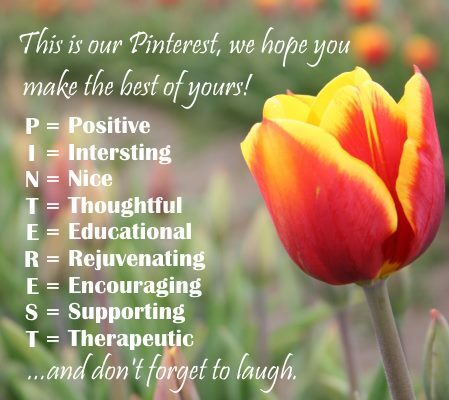 If you are looking for some more landscaping ideas, you can also check out Dream Yard on Pinterest. Click on the follow us button on our homepage and throughout the site. There you will find over 16,000 landscaping pictures categorized on over 80 different boards including hundreds of fence pictures. You'll see why nearly 200,000 people follow us already. 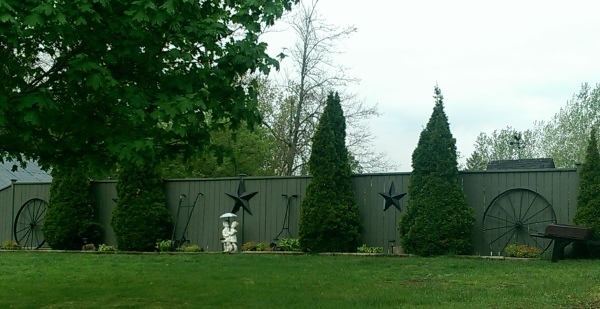 Enjoy our fence picture ideas and the rest of our site and come back as we will be adding hundreds of new pictures throughout the spring and summer of 2015. 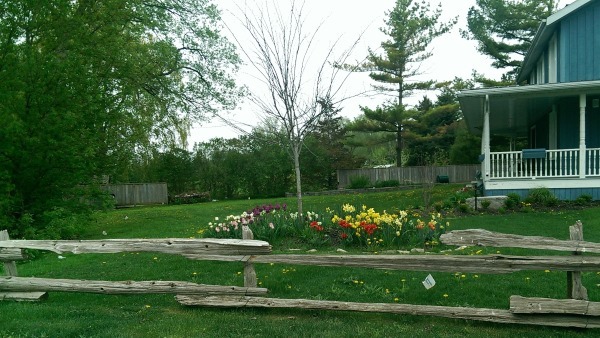 This simple wooden fence crossing multiple properties gives a country feel in an older section of a small town. 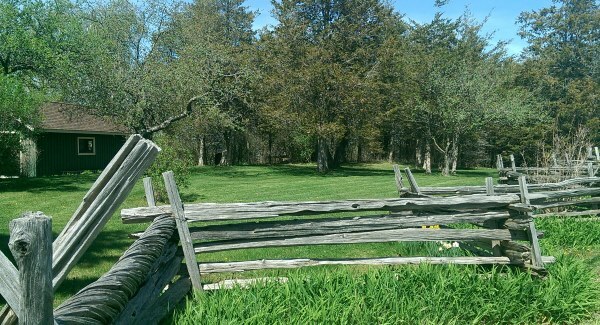 This rustic wooden split rail fence fits right in on this acreage country property. I found this unique style of wooden fence while on a walk in the beautiful town of Banff Alberta. Fences found in older sections of town have such a classic an timeless look. 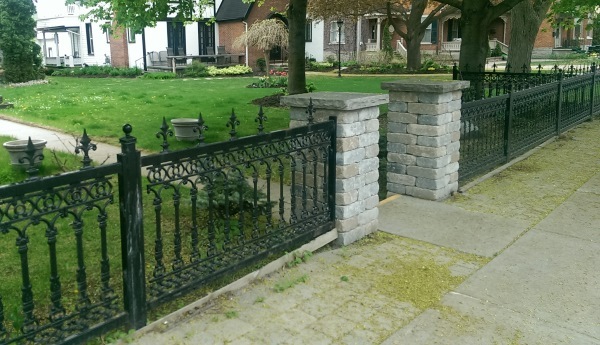 The modern brick pillars actually tie in nicely with this old wrought iron fence. 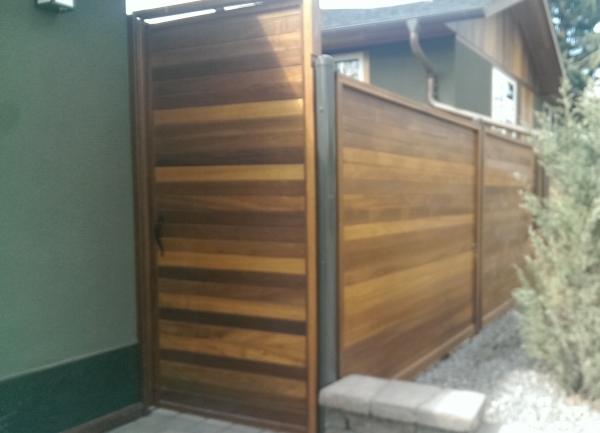 This inner city fence provides security, privacy and appeal. A nice 2 rail fence assembled with weather wood and secured to the posts with wire. 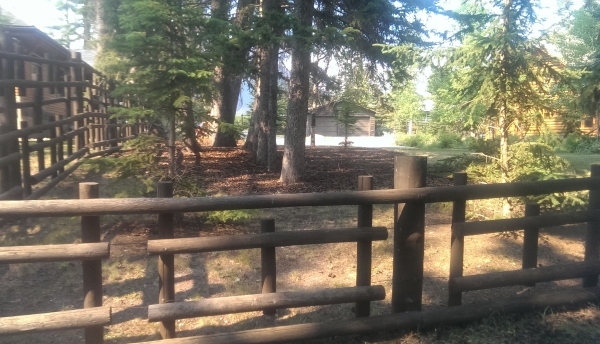 This 3 rail timber fence defines the property as well as the entrance to this large property. 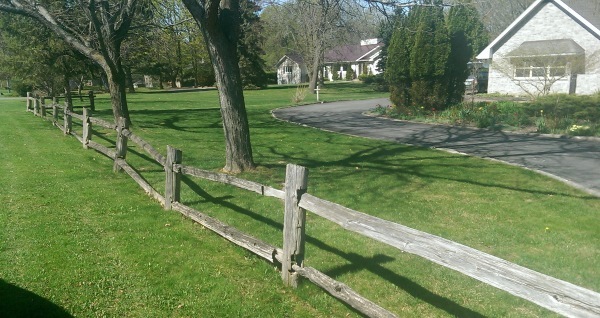 This timber fence lines the driveway to this quant bed and breakfast. The large wrap around driveway defines a huge informal front garden bed. 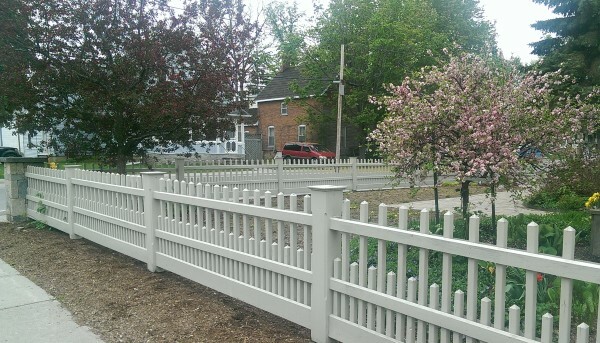 This standard board fence has some added appeal with a molding style wooden cap on top of lattice. A modern picket style fence provides an attractive barricade for this corner lot. Manufactured block pillars sit on each corner. These older round metal rail style fences are not quite as common as they once were. 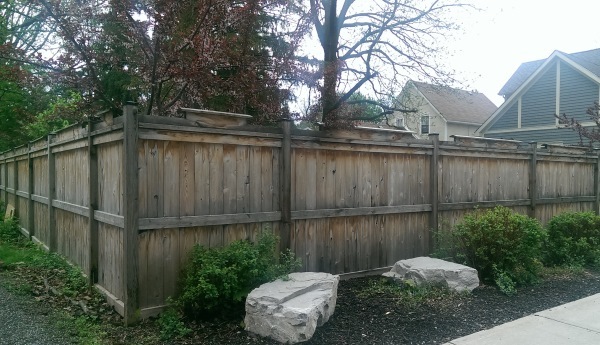 This is a unique ideas for a front yard with large rocks between smaller sections of fencing. This side yard fence is creatively dressed up with old tools between the evergreens that provide form all year round. A few simple rocks and shrubs can break up the monotony of a large side yard privacy fence. This basic fence is dressed up slightly with top rail peak boards.